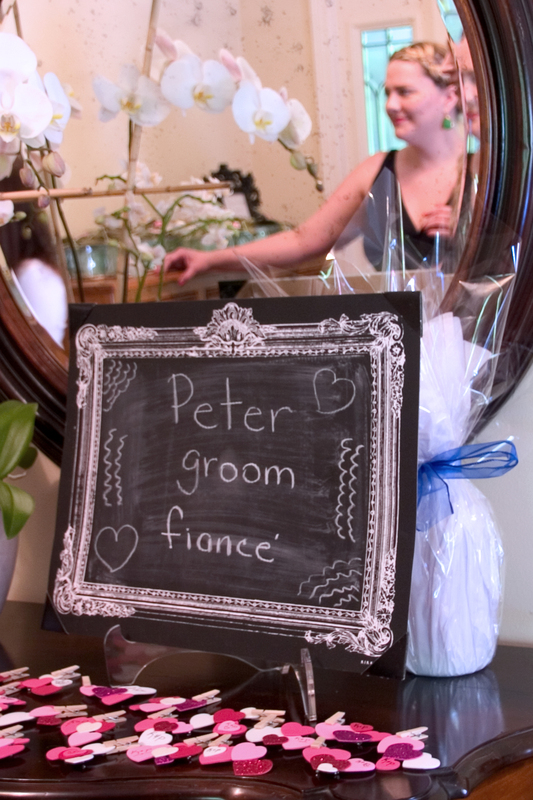 I love when a couple personalizes their wedding. 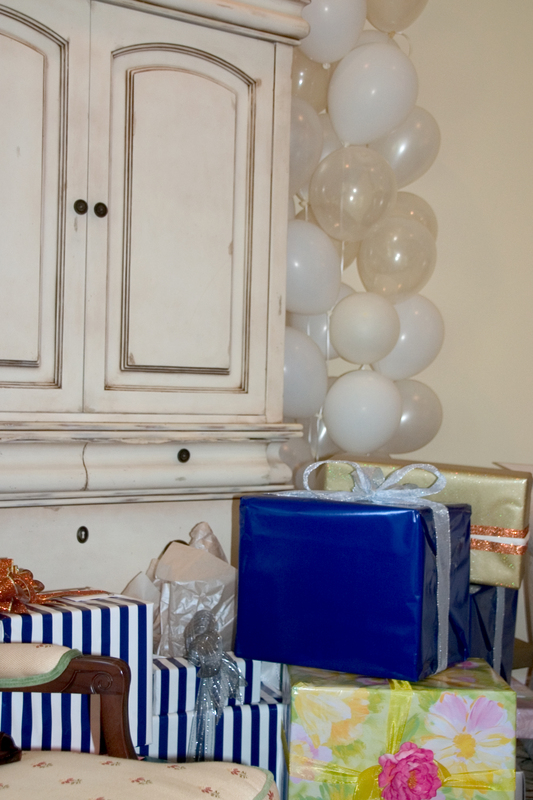 This couple completely customized their wedding and it was SO perfect for them! 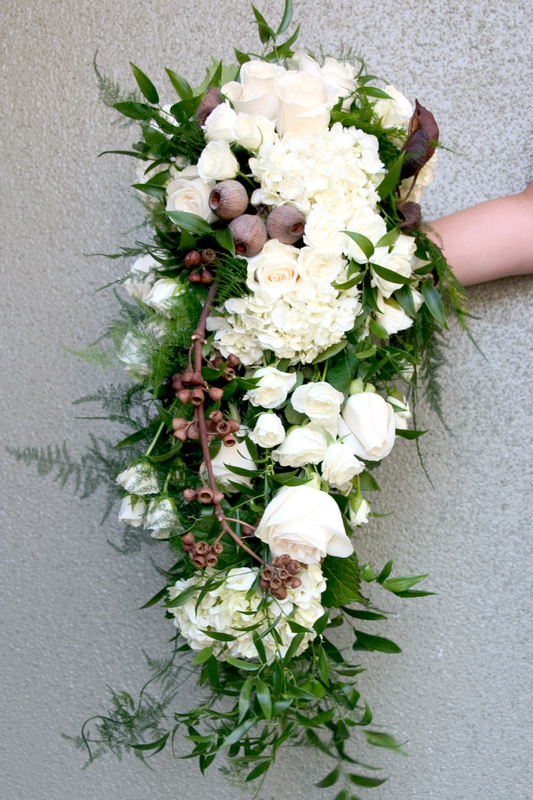 The Bride carried a cascade bouquet while the bridesmaids carried clutch bouquets. 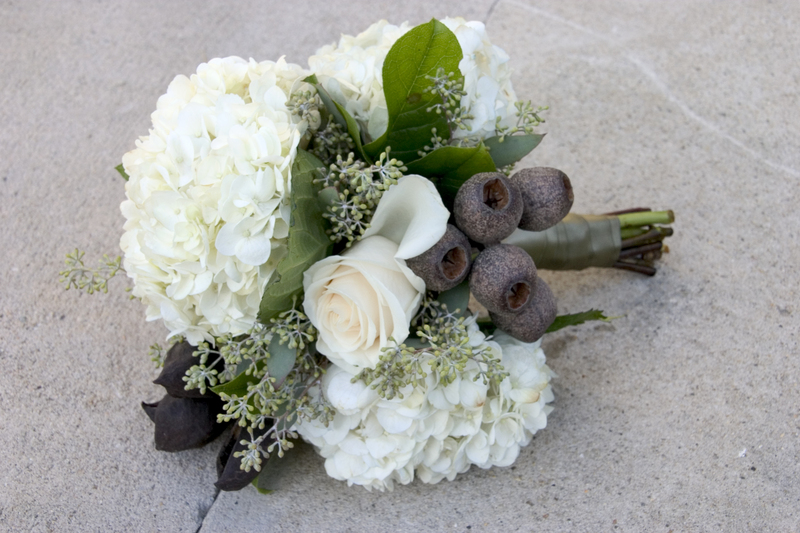 Each of the bouquets was accented with dried pods. The textures were AMAZING! 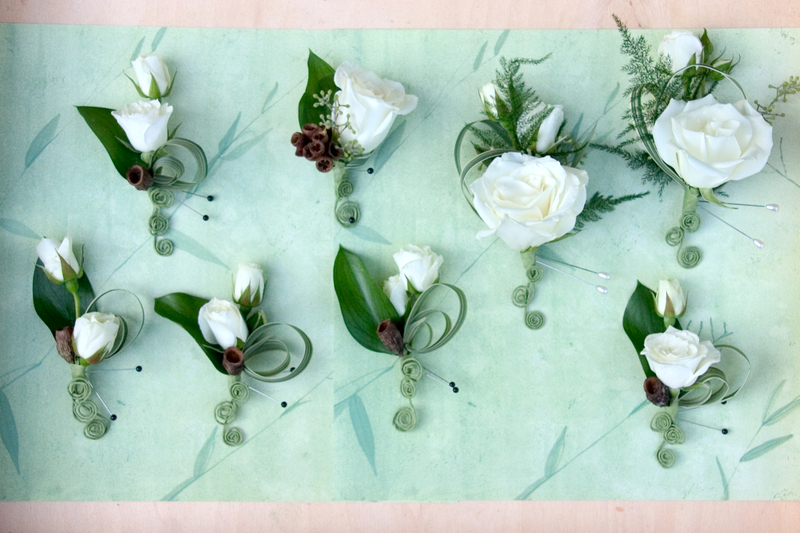 The boutonnieres and corsages were created with beautiful roses! 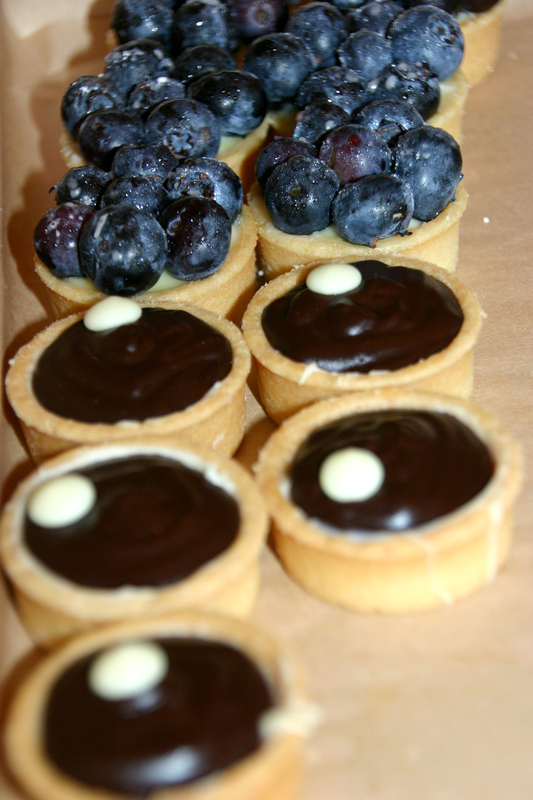 Of course some had a touch of dried accents. 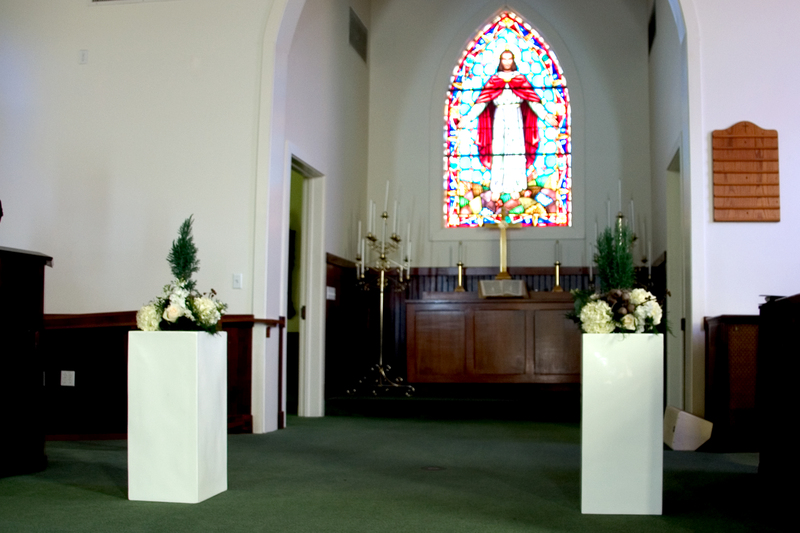 The ceremony was held at in the chapel where we used two of the centerpieces to frame the alter area. 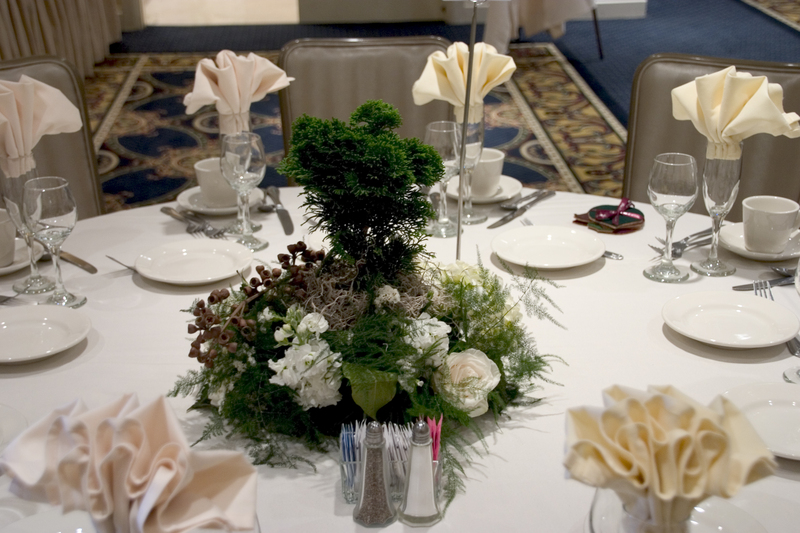 The centerpieces were super fun! 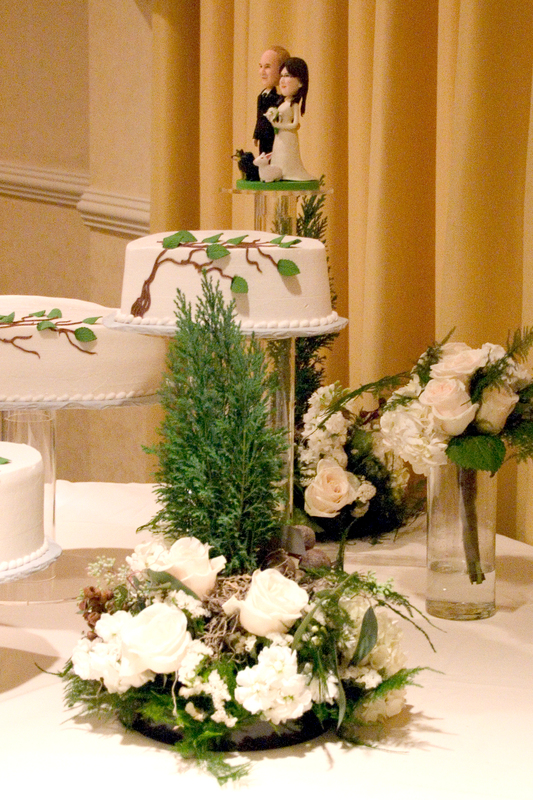 We used small trees that were surrounded by a mix of textural foliage and white flowers. 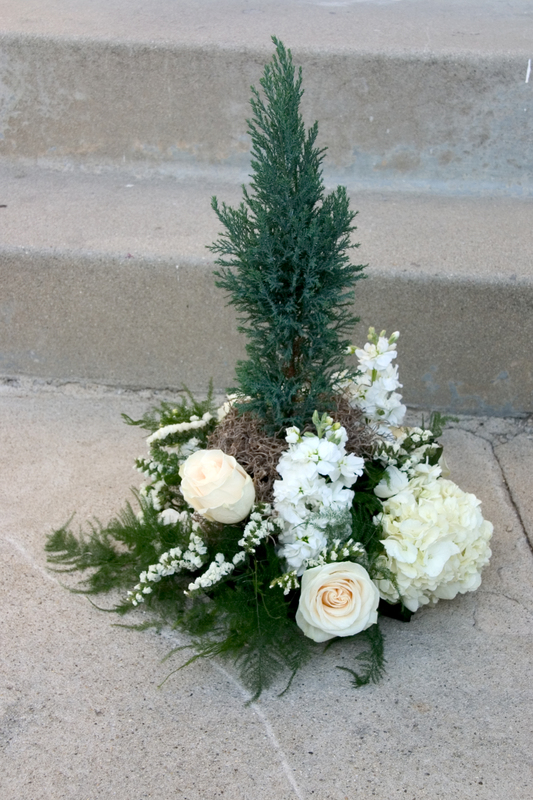 The trees were easy to remove so the guests could take the centerpieces home. 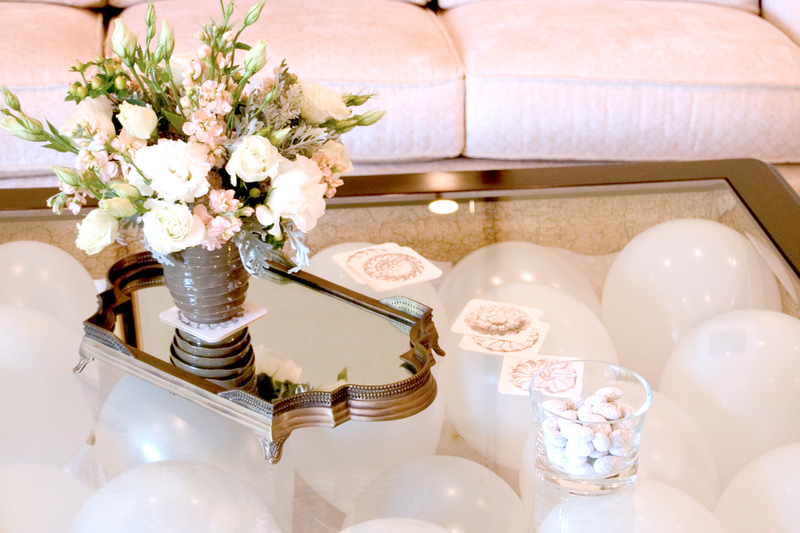 We also placed a few centerpieces around the room; mainly the sign in table as well as the cake table. 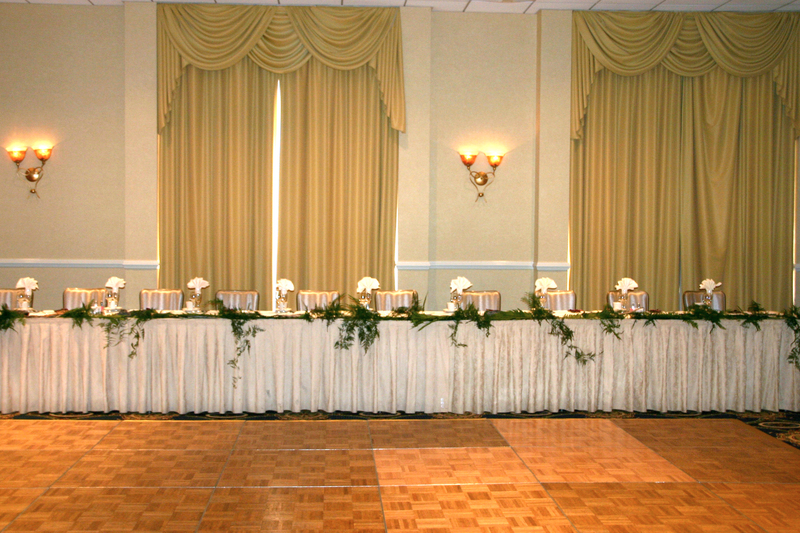 The head table we extremely fun to create! 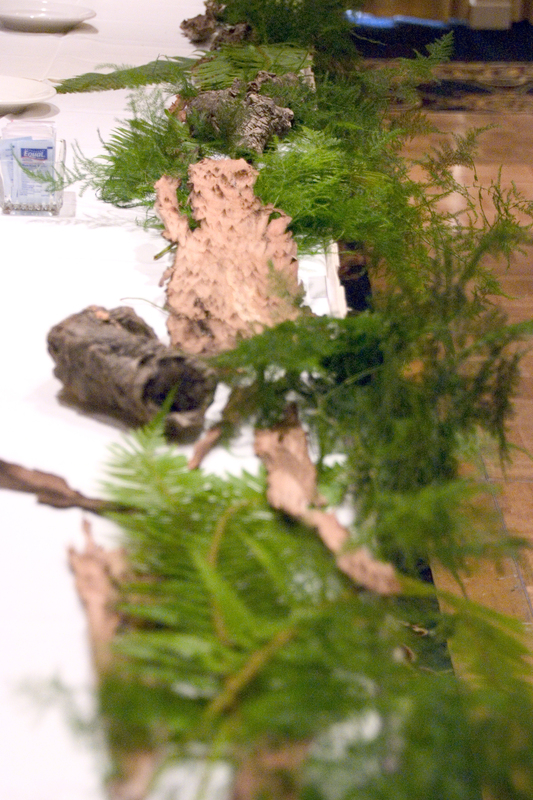 Bark was placed down the length of the table and foliage was placed between for the woodsy theme to be carried though. 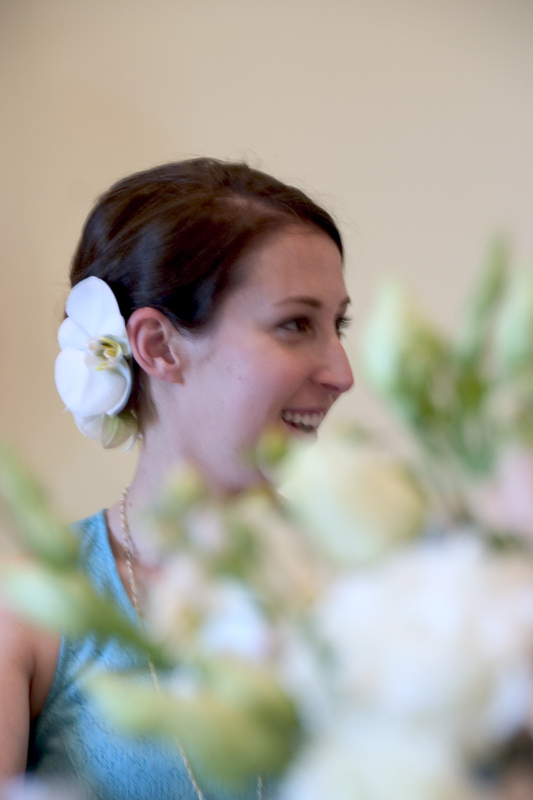 The bridal bouquets were added after the ceremony. 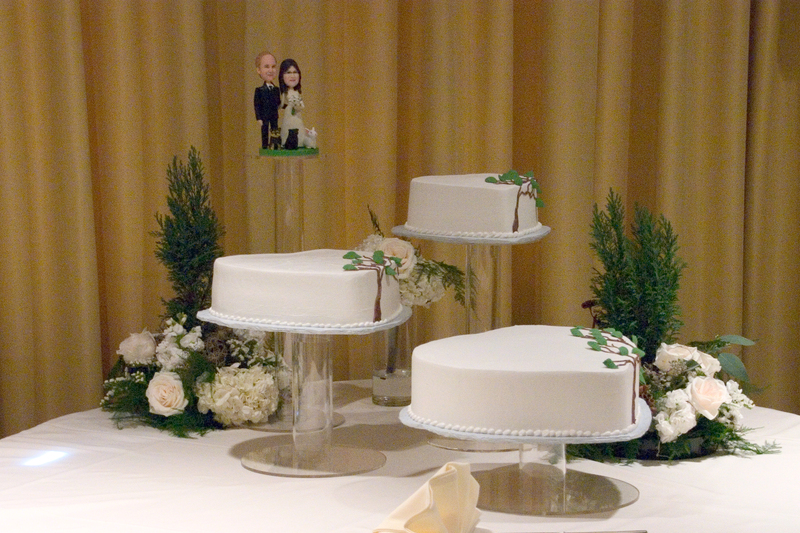 I wish this couple a very wonderful life together! I like to consider myself and artist. 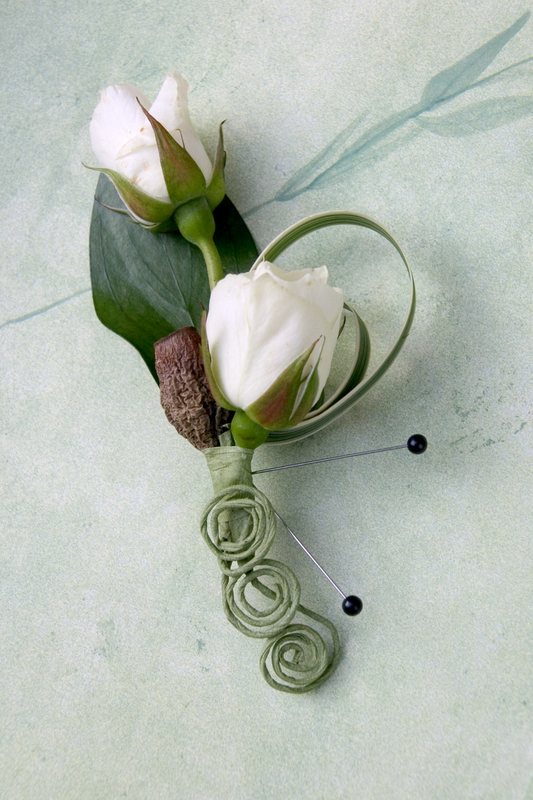 After all flowers are amazing elements to create art out of! 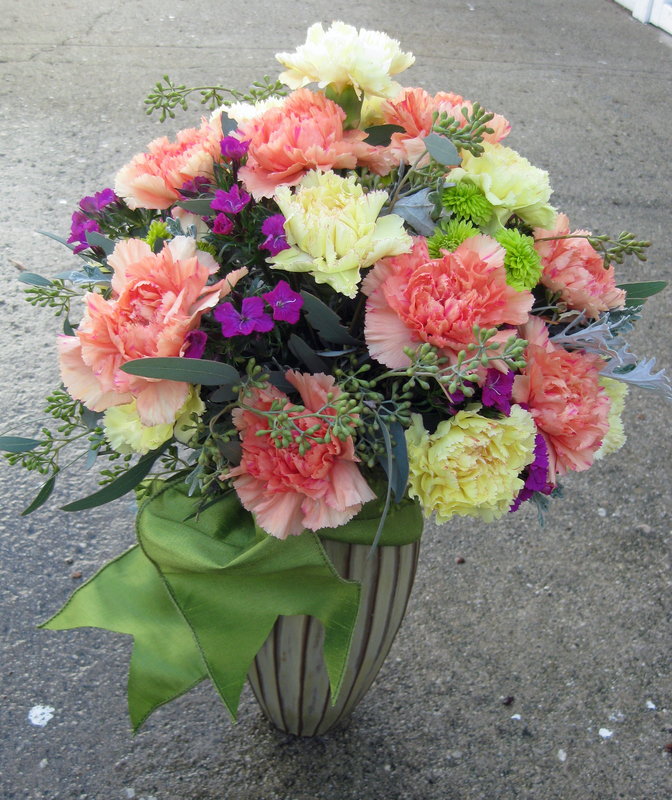 When I create a stylized arrangement I truly look at each stem and am inspired by the flower. It tells me what angle to use and can completely change my vision. I had always been into art. When I went to Paris a few years ago I spent most of the time wondering aimlessly except with I was in museums, my favorite being the Picasso museum. It was SO inspiring to me and I loved every minute! When I was asked to be part of this event at MOLAA (Museum of Latin American Art) I of course accepted. 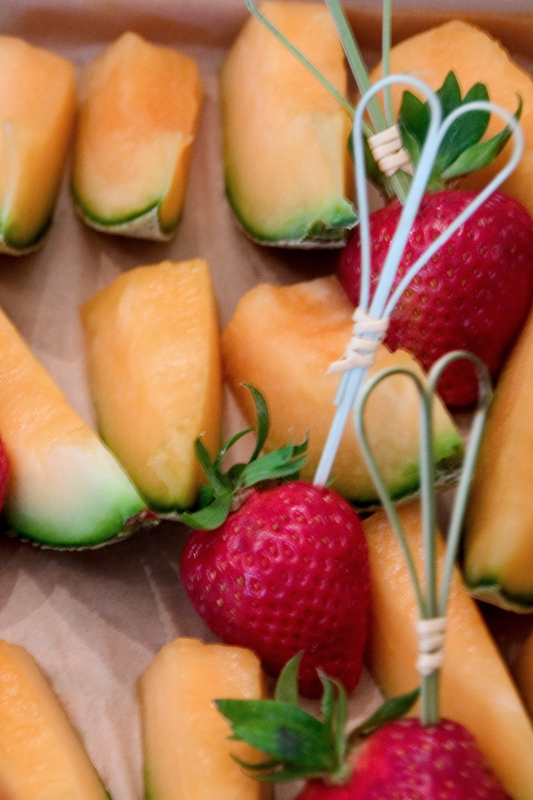 Every summer MOLAA has a summer camp for students to come and learn Spanish as well as about the Latin American cultures. They are taught about different artist and even get to create art themselves! 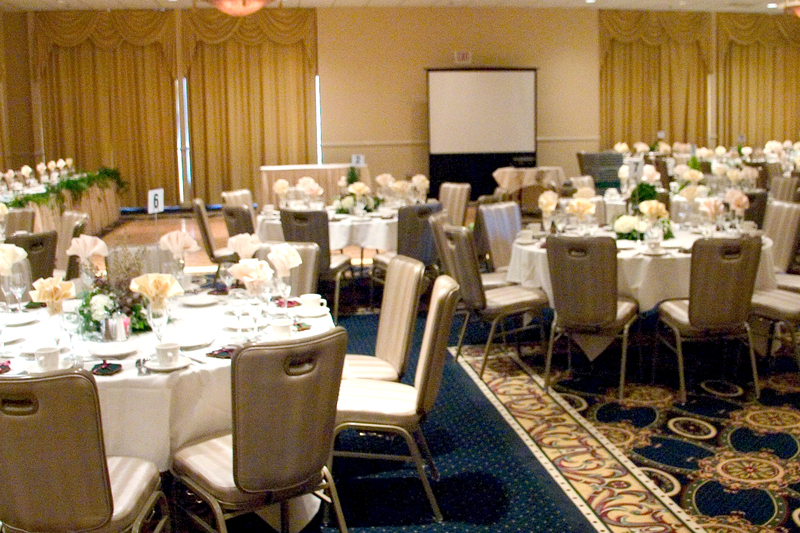 The event was to raise scholarships for the children in the neighborhood to join. It is a great program and I am happy to support them! 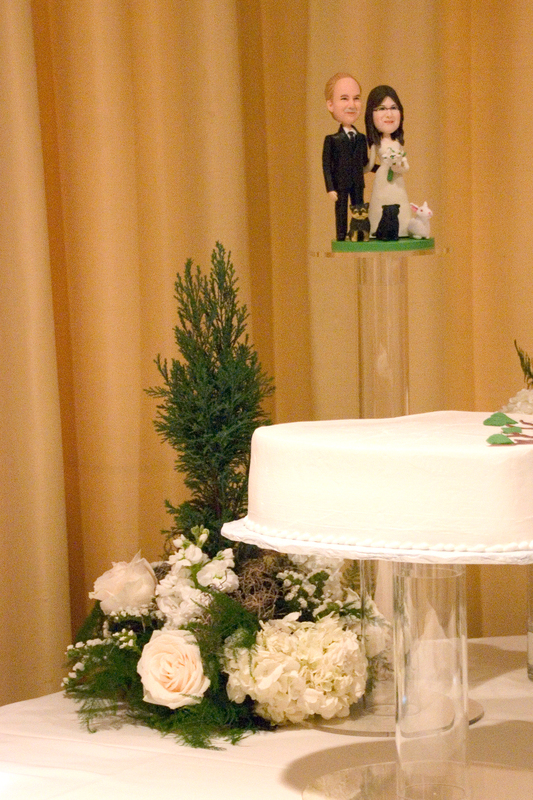 The event was held at the museum (which also has some BEAUTIFUL weddings!) in the courtyard. The back wall is a vibrant color and there is succulents planted around the perimeter. 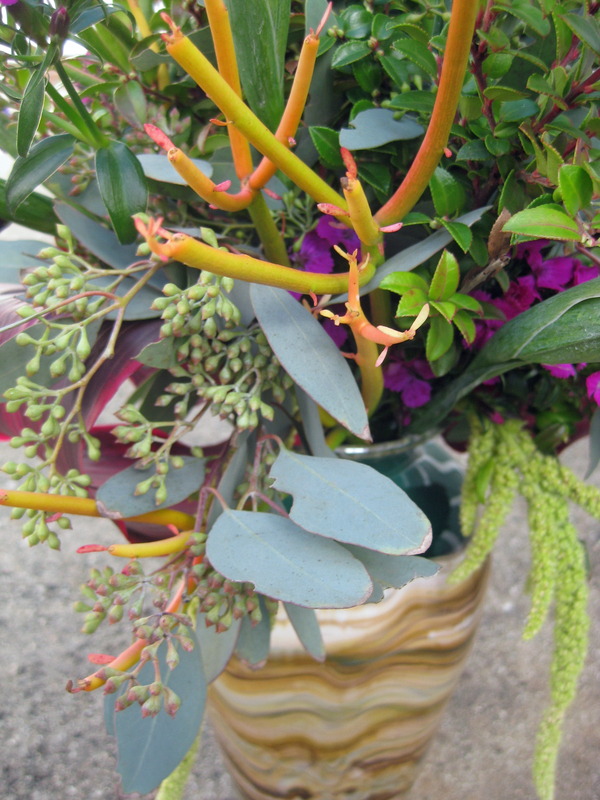 I did a mix of styles including succulent planters and clusters of budvases. 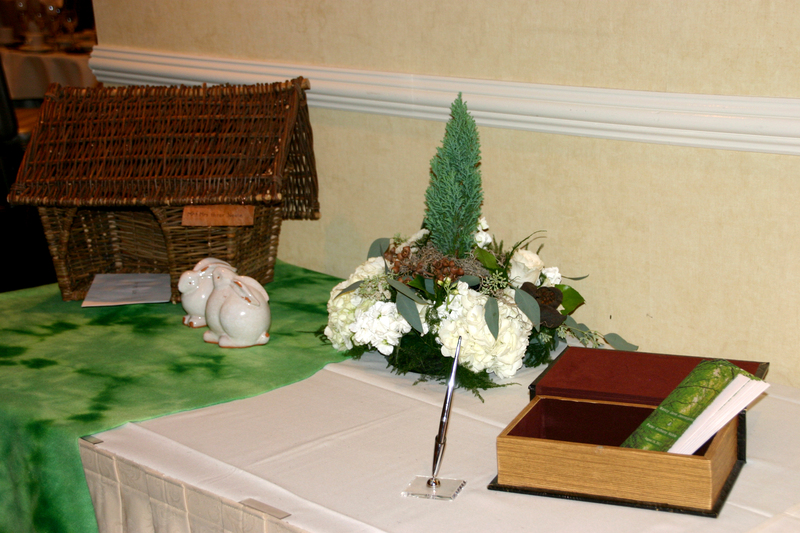 We also included feathers in all of the arrangements to tie in with the theme of the event. 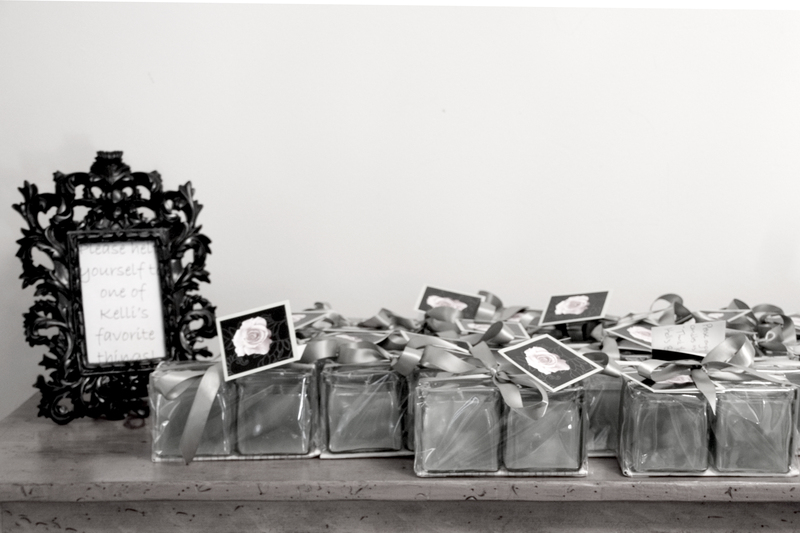 Some of the succulents were placed in metal tins and clustered together for a larger impact while others were in a single black wooden box. 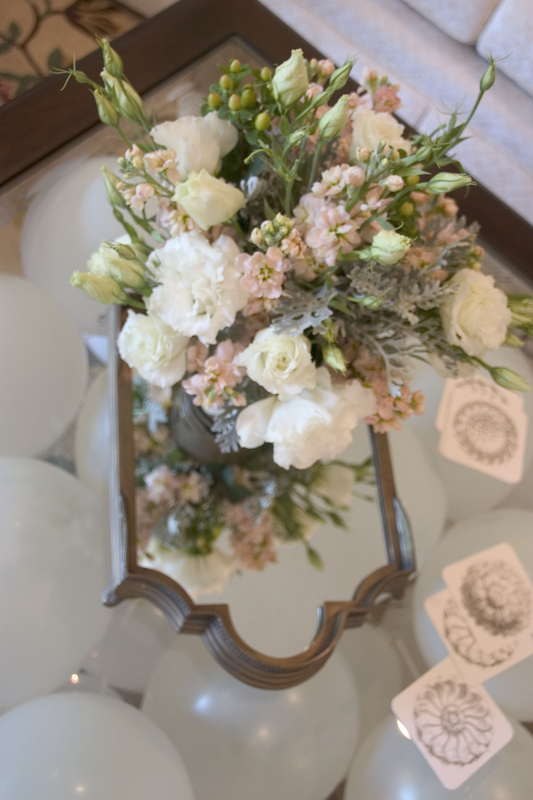 For the fresh flowers I had a lot of fun! 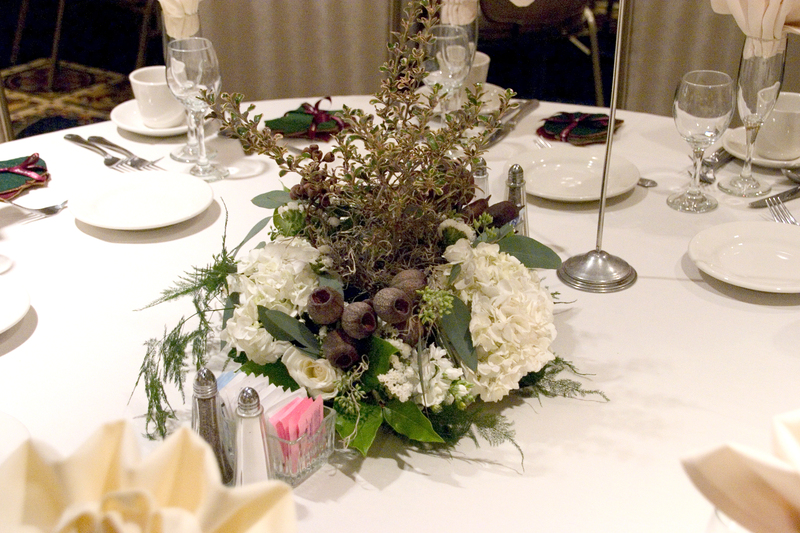 Most of the fresh flower tables had multiple budvases on with “mono-floral” arrangements. This form of color blocking created a bright and interesting look. 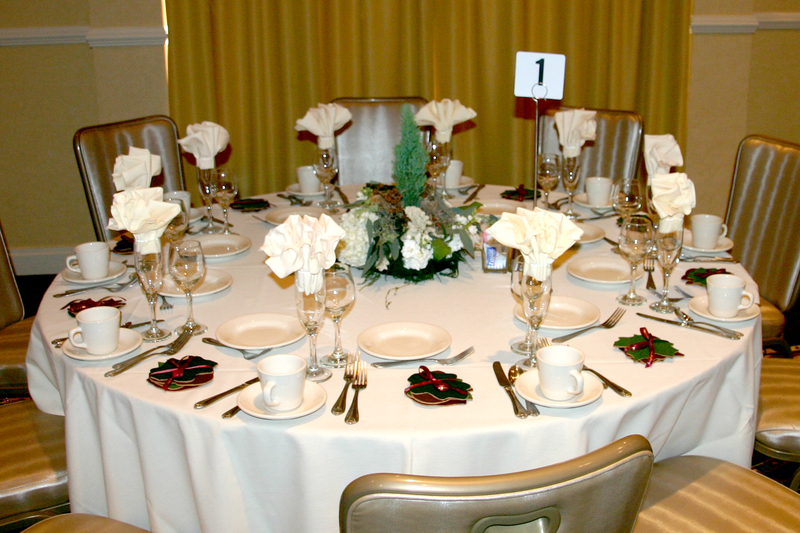 There were also a few tables with single arrangements. It was a wonderful event to be a part of and I look forward to participating in it again! It is a great cause and I always enjoy the wonderful people I met! 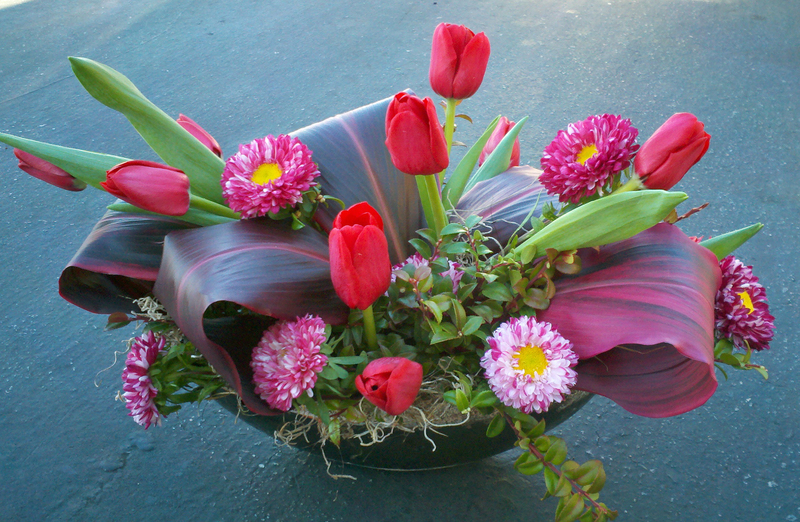 From time to time I get clients looking for planters with fresh cut flowers added in. They are usually for sympathy orders. This was one of those orders. I personally LOVE the basket this is arranged in; it is a unique with wicker basket. 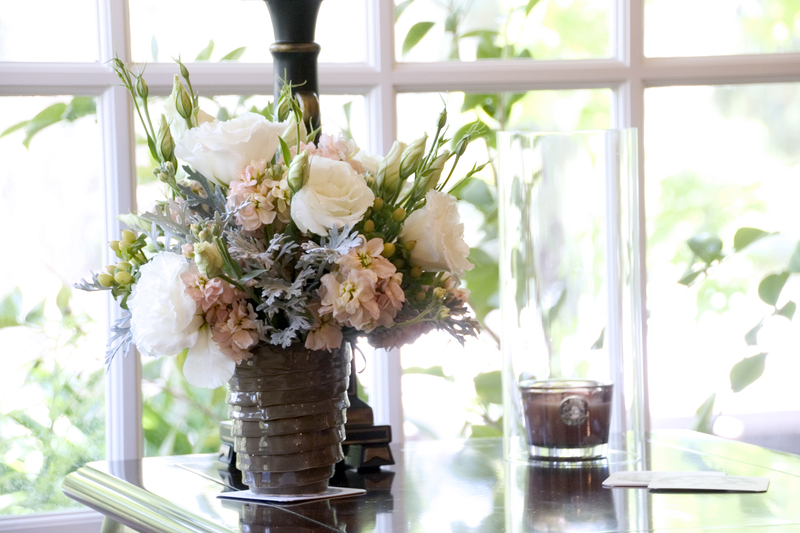 Pale orange Asiatic lilies and white roses are placed to create a nice line. When the flowers are expired they can be removed and the planter is still perfectly decorated with kiwi vine and lotus pods tucked deep within the foliage. 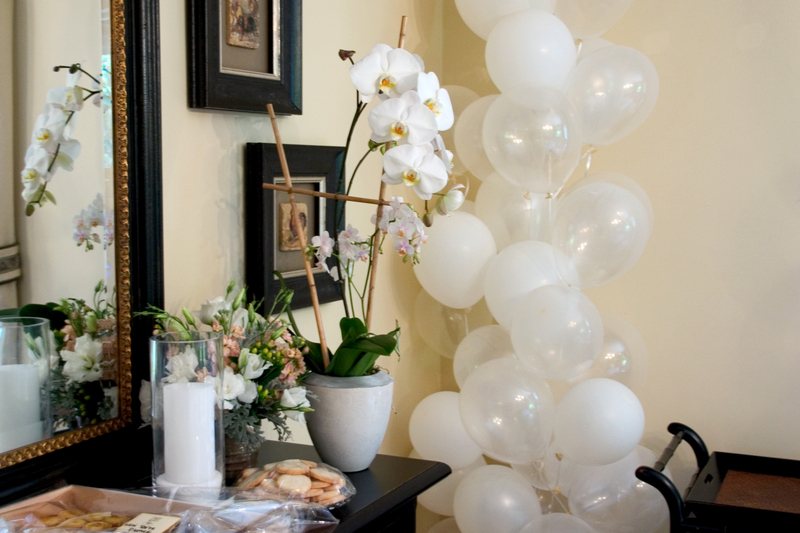 Phalaenopsis orchids are a very elegant choice for all occasions! This one in particular was for the passing of a family member. 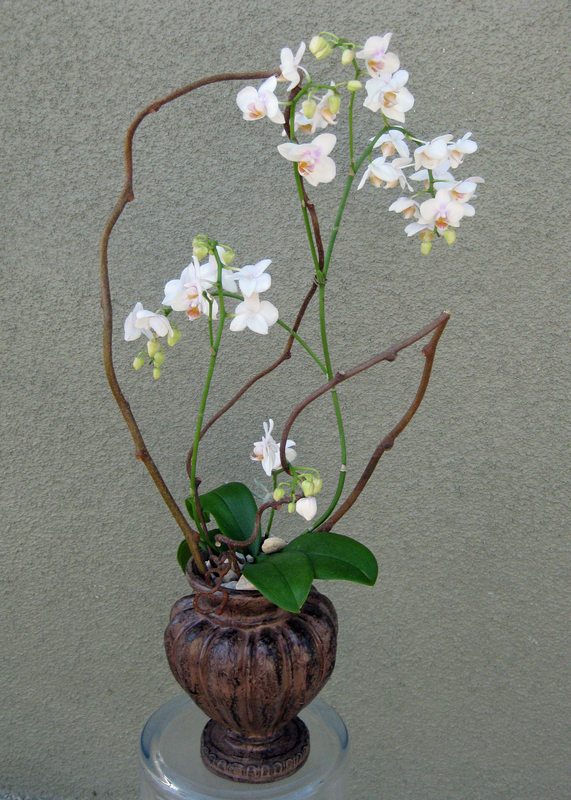 Five stems of phalaenopsis plants are placed in a large footed vase. 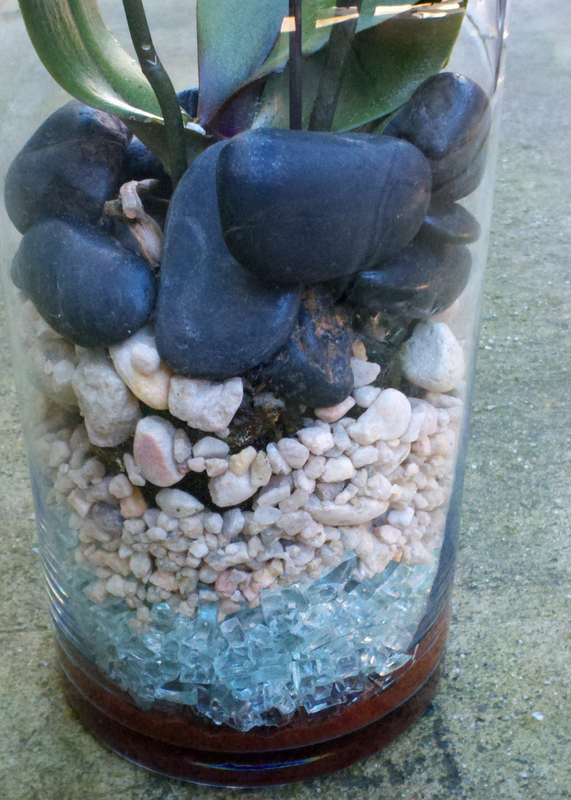 Various rocks are layered and topped with crushed glass. 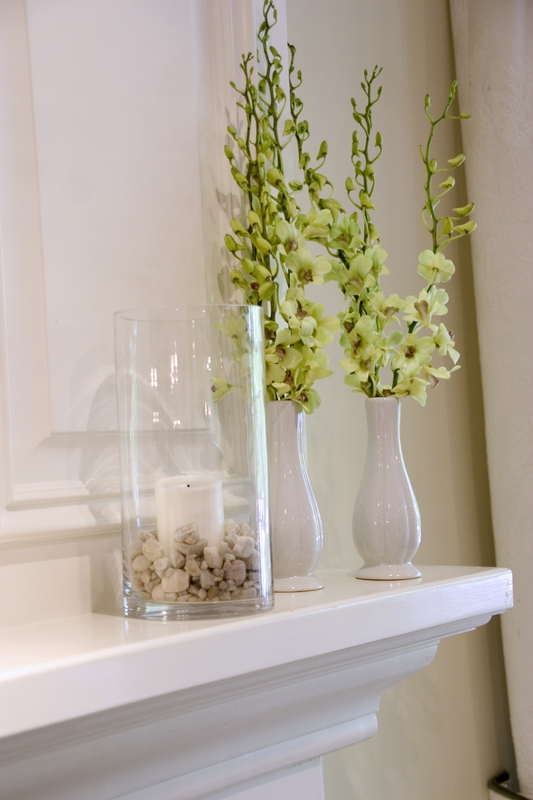 Bamboo reeds are spaced around the vase for a strong line and a perfect structure for the orchids to be supported. 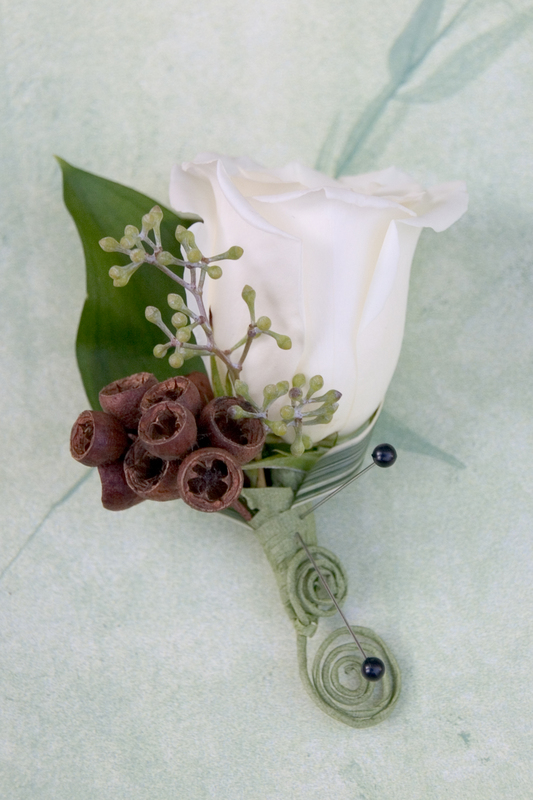 A touch of kiwi vine is placed off center for a whimsical look and a band of brown rosette ribbon is the finishing touch. 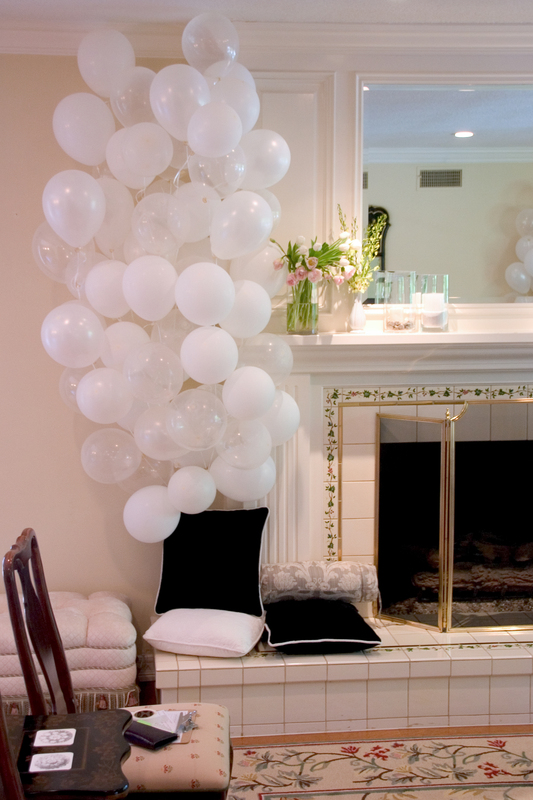 All the elements are brought together in an elegant way to create a HUGE statement. Plants, plants and plants everywhere! They seem to be a great seller right now and I have to admit I love using them since they have tons of texture! Succulents are one of my favorites right now, maybe since the ones in my yard are growing VERY nicely right now! 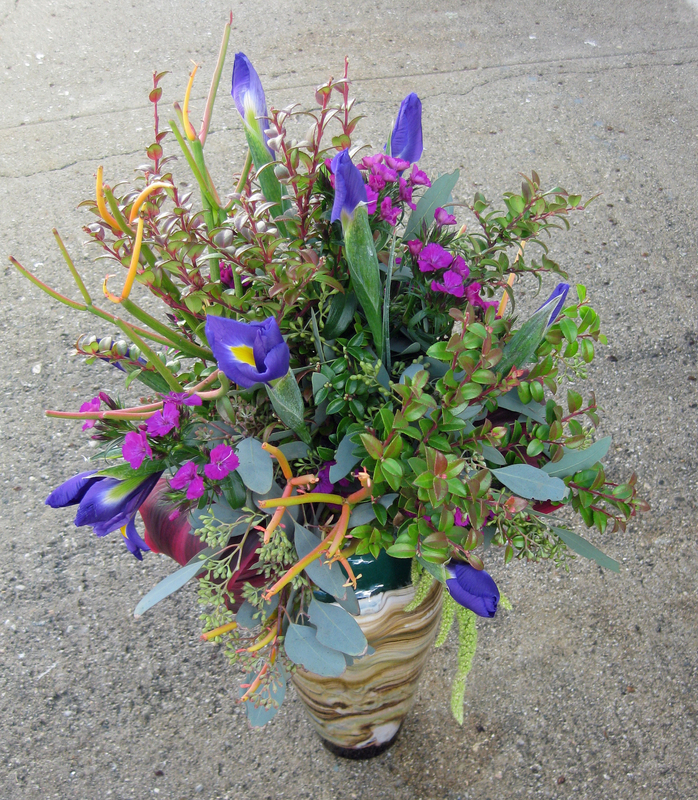 First a metal container with various shades of dusty greens and dark browns. 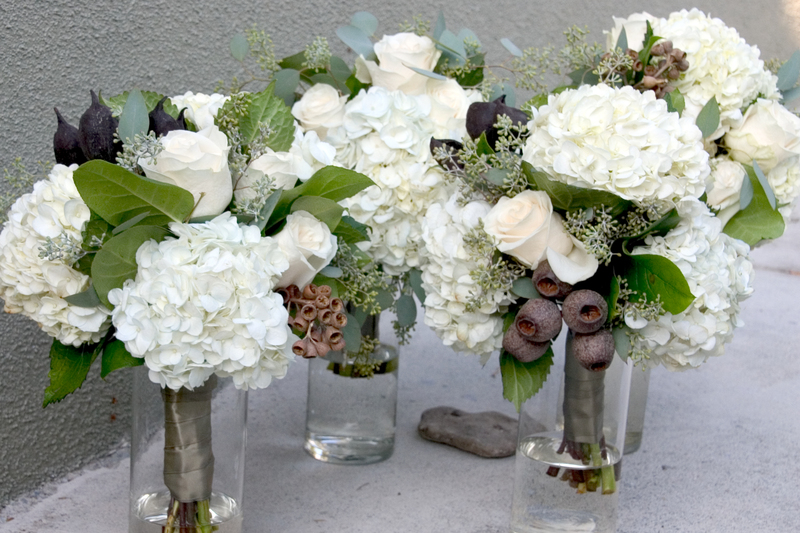 Rocks finish off the arrangement to add a natural feel. 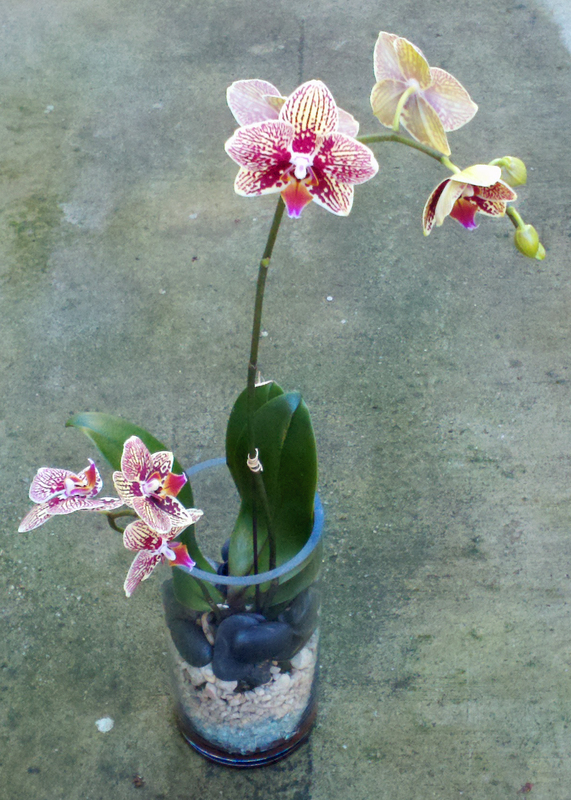 Second a ceramic container accented with a tall kiwi vine. 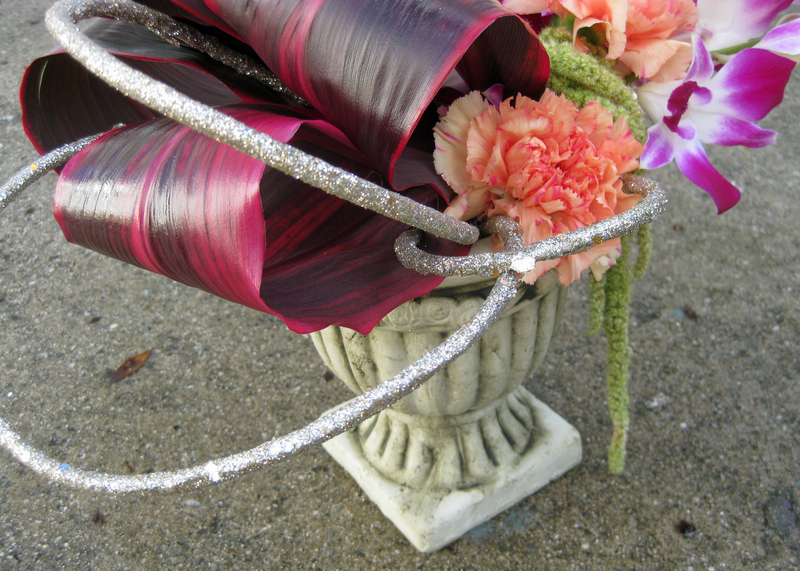 Finally a beach inspired planter created in white ceramic shell. 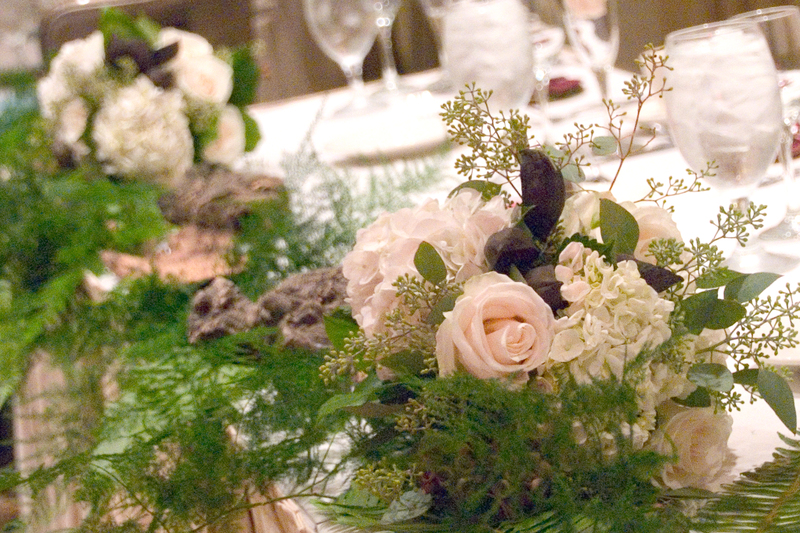 Reindeer moss adds the spongy texture that is a great contrast to the glossy vessel. 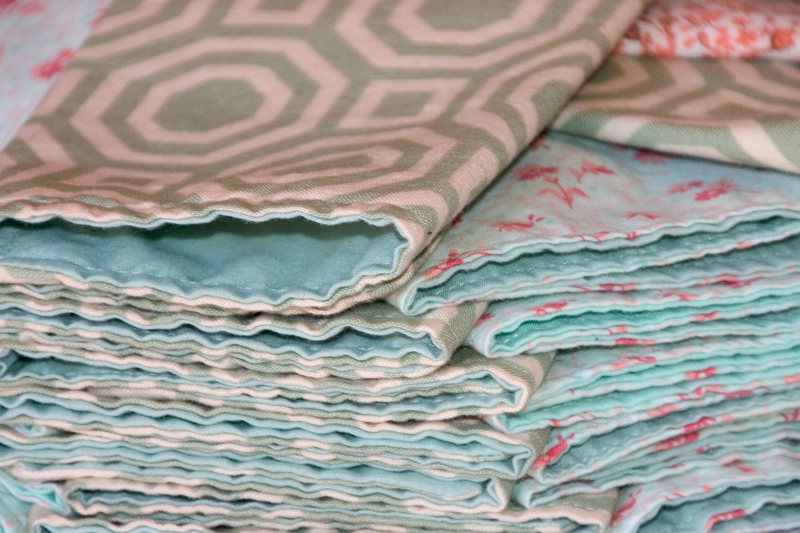 SO can you tell I am obsessed with texture! 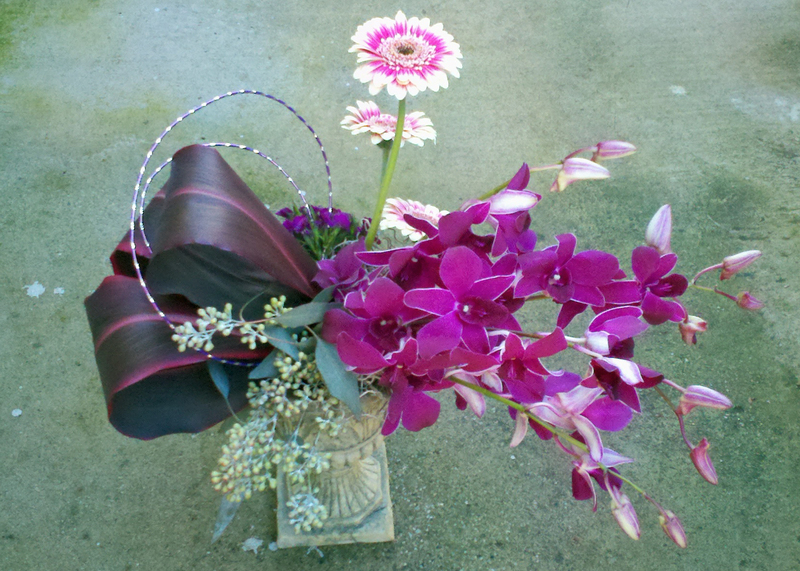 Some of my favorite arrangements from Mother’s Day this year! 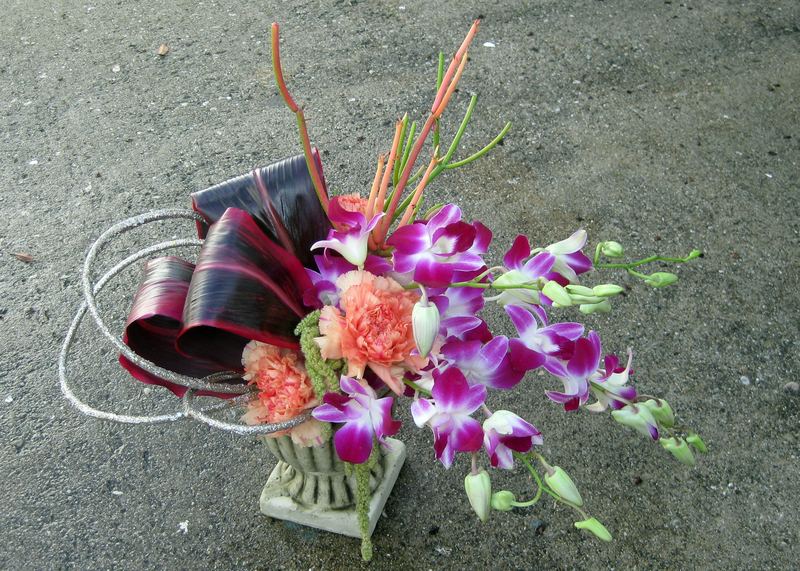 First a planter made from a single stripped phalaenopsis orchid accented with succulents and tall bamboo. 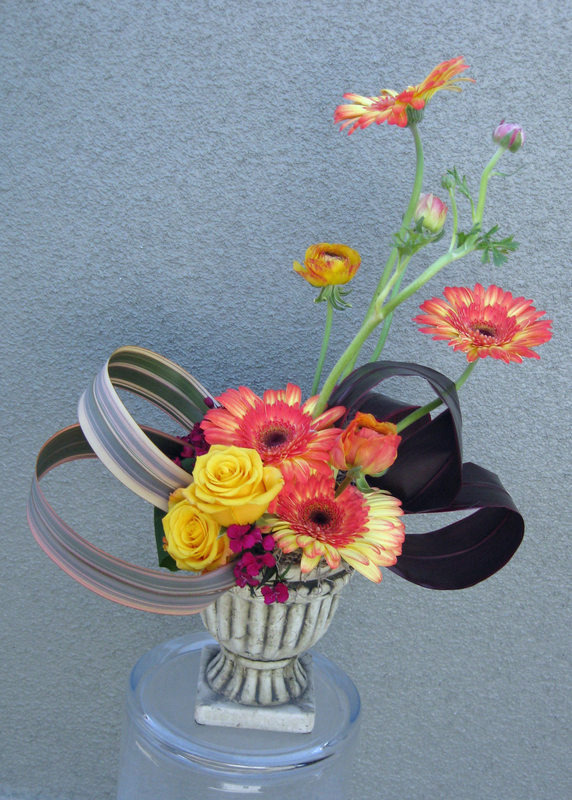 Next a dark and dramatic stylized arrangement created from black ti leaves, burgundy ranunculus and purple mini calla lilies. Kiwi vine creates an even more dramatic line. 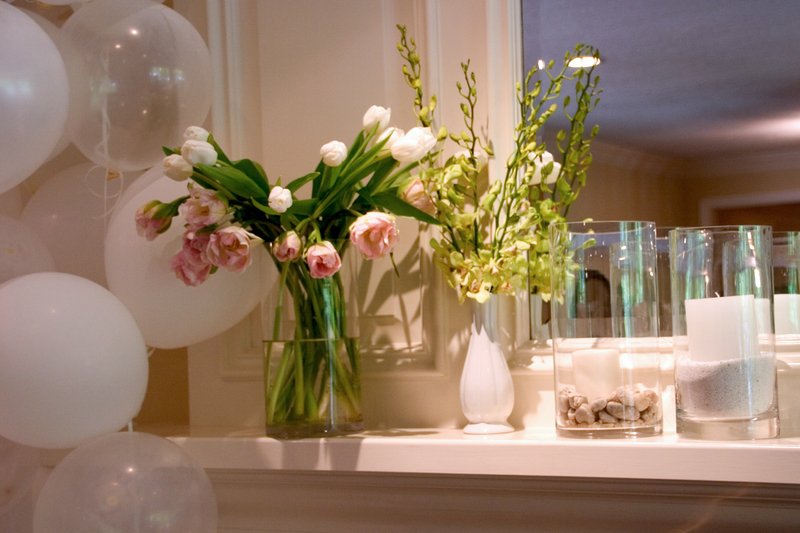 Finally a compact bubble bowl with a mix of lilies, stock, mini gerbera daisies and a touch of hyacinth for good measure. 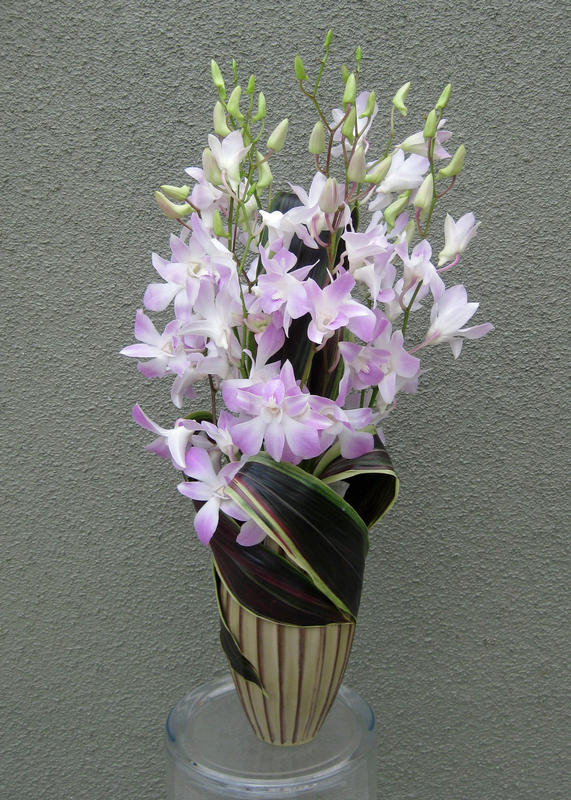 Lately I have had a few brides that wanted to use orchid plants as centerpieces. 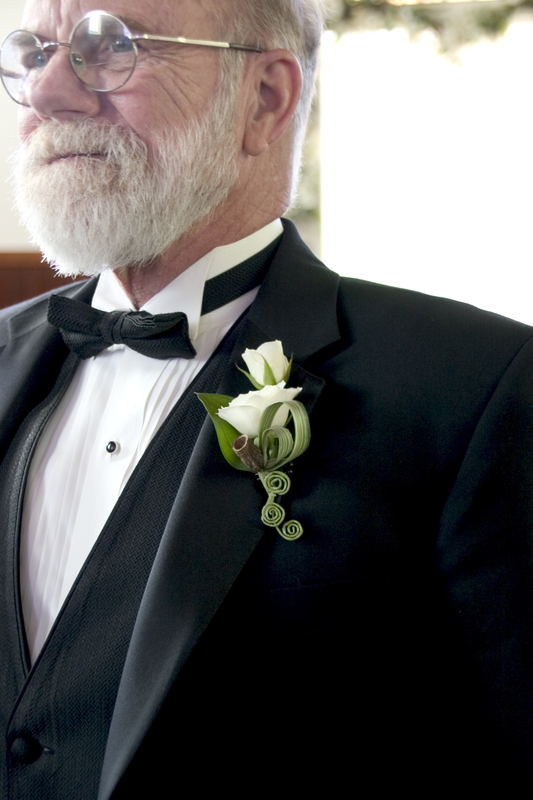 They make a great long lasting memory for the person that gets to take them home after the reception. 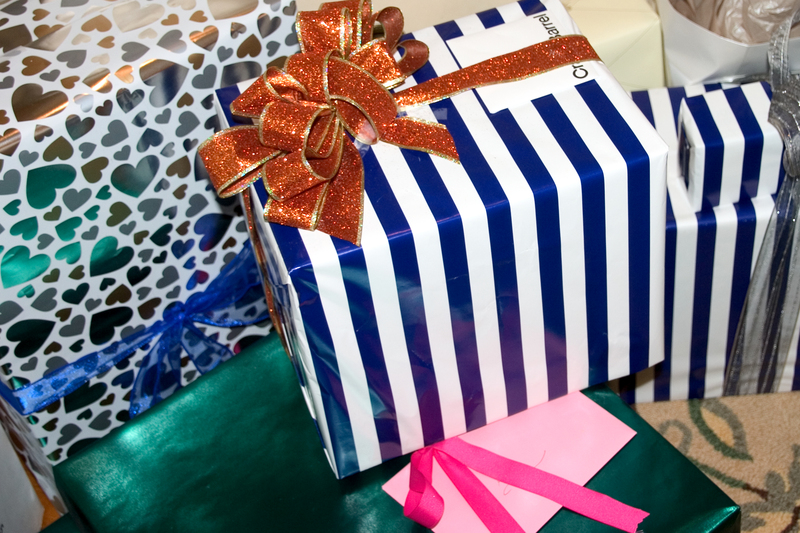 Try giving them to the bridesmaids or the first person the return the rsvp card (I had a bride that did that and I thought it was a great idea!). 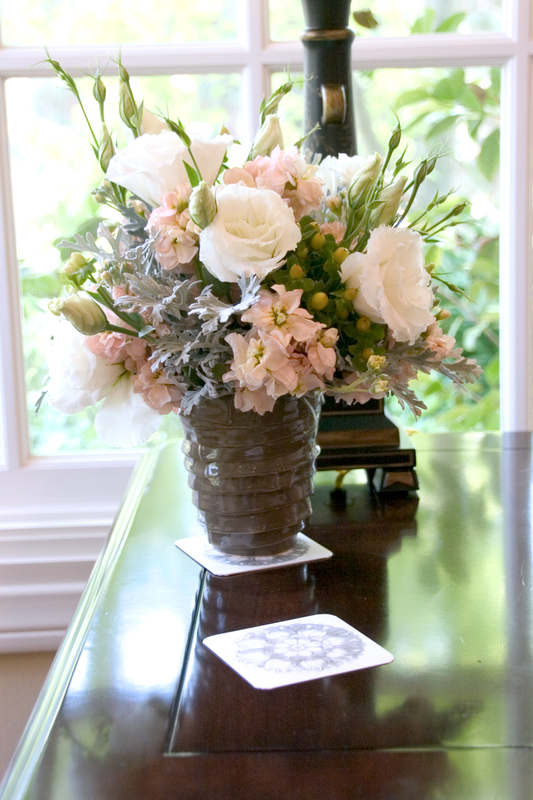 The bouquet is created from a mix of spring flowers including hydrangea, mini cymbidiums, ranunculus and anemones. 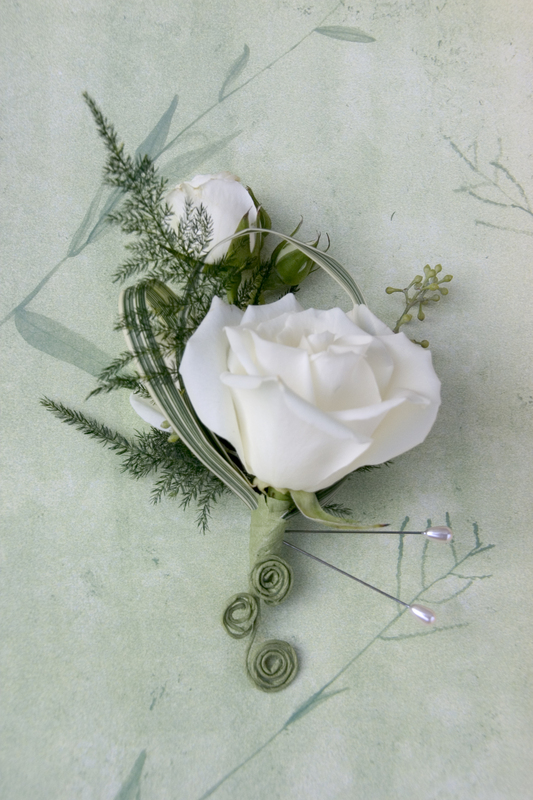 The handle is covered with a soft green yarn finishing off the soft spring look. 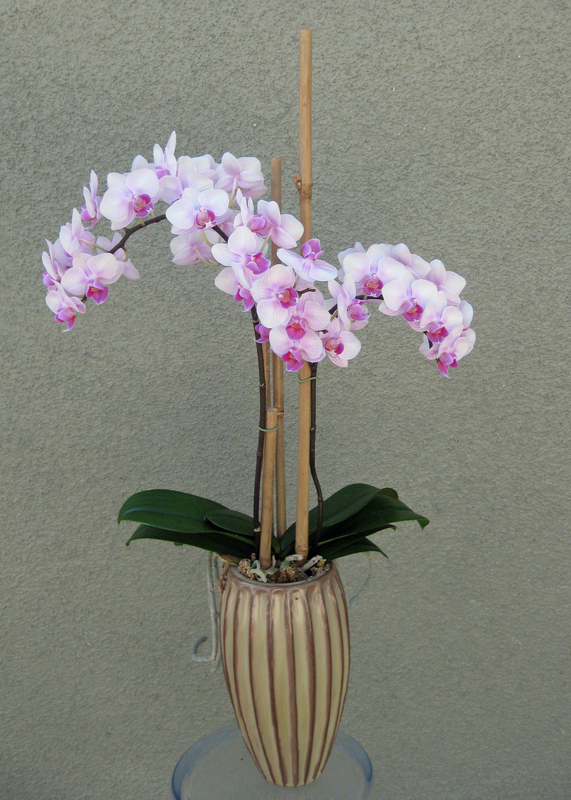 Phalaenopsis orchids come in SO many shades including the unique and delicate spotted pattern. 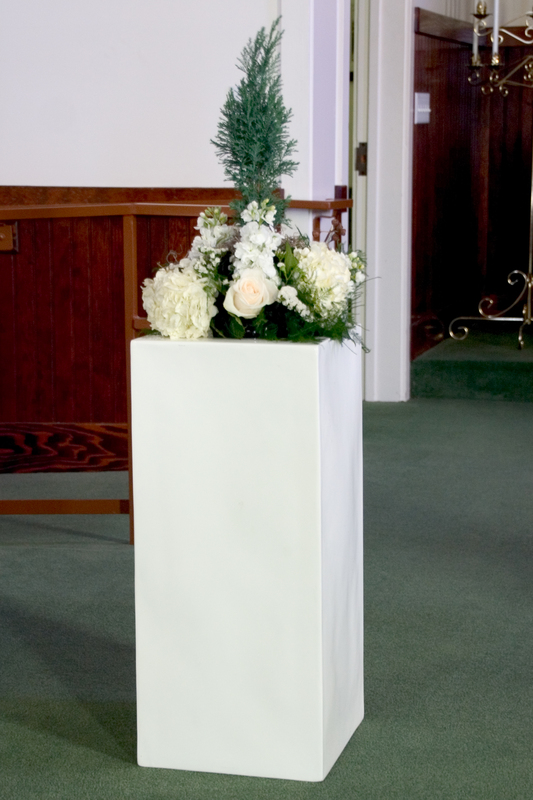 Since the plant has a much taller presence then the traditional centerpiece, candles were added to the table in various size squares to help fill the center.